For three weeks in September and October 2019, Lewisham will become a hive of creative activity for the borough’s first ever Festival of Creative Ageing, celebrating the transformative power of the arts in our lives as we age. We want to showcase and support the talents of older people in Lewisham – and the life-enhancing benefits of creativity. We are offering grants to older peoples’ organisations and community groups to be part of the Festival. We welcome proposals for projects that join organisations together with artists and we can help you link up! 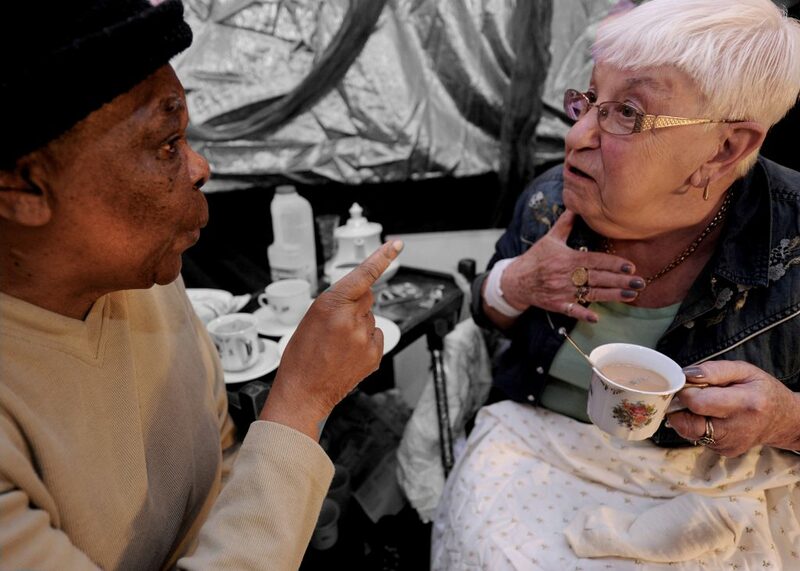 Lewisham’s first Festival of Creative Ageing is co-produced by the Albany, Entelechy Arts and Lewisham Council, working with a range of other key partners. • Seed grants, up to £500, for one-off events during the festival – perhaps an art exhibition created by your members, or a creative session led by an artist or someone from your group. These grants are for things like artist fees and any materials you need for workshops or presenting what you have done. • Small grants, from £500 to £2,000, are for longer projects which end with an event during the festival. This might mean working with an artist over a few sessions to create a performance or exhibition or working towards a larger scale event that people can take part in. Projects can include any kind of creative activity – from sharing stories, making something together, bringing activity and colour to grey spaces, dance, song, writing, performance, comedy or just allowing people to express themselves in new ways! We can match you with local artists and other groups (such as arts organisations, youth groups etc.) if you would like to collaborate on your project. We would love to see collaborations with organisations who haven’t worked with older people before. We can also help with finding venues for events and may be able to offer space for free. Please let us know if this is something you would be interested in your Expression of Interest. You can also get involved without applying for a grant – we will be offering a toolkit for creating an event which is part of the festival programme and listing events on a festival website. If you already know you’re interested in doing this, please submit an Expression of Interest so we can keep in touch. For the full details, download the guidance form and to apply, fill out the relevant expression of interest form.